The Acushnet Company’s new line Titleist 718 irons – AP1, AP2 and AP3 – will be available beginning Sept. 29. 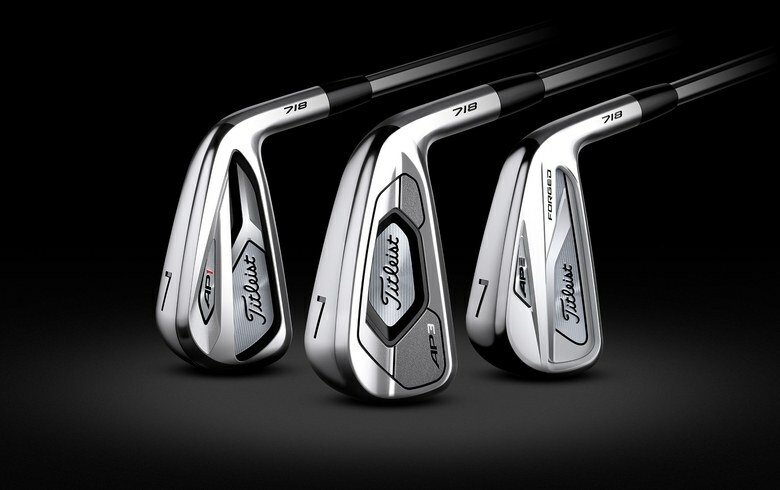 The AP3 iron is the newest addition to the Titleist AP family. It is currently being played on the PGA Tour by Titleist staffers including Jimmy Walker and Bill Haas. The new 718 AP1 irons ($SRP 999 for a set of eight), according to Talge, are built for maximum distance and maximum forgiveness and longer and more forgiving than the prior generation, Each iron features a new, progressive construction from hollow-body long irons to undercut cavity mid and short irons provides the best combination of distance and trajectory for each individually-designed iron. Thin, fast, unsupported face insert, Talge said, generate explosive ball speed for more distance, while the hollow-body long irons, inspired by R&D’s development of the Titleist Concept C16 iron models, maximize carry distance on longer shots into the green. Each new 718 AP2 iron (SRP $1,299 for a set of eight) features a co-forged, cavity back design that Talge said provides ultimate playability with consistent distance and forgiveness, packaged in a Tour-validated profile that delivers pure forged feel. A thinner forged body and face insert constructed of high-strength spring steel, Talge said, increases launch and ball speed for more distance. An improved CG progression, with a lower and more centered CG in the long irons, he added, improves speed performance on off-center hits for precise distance control on every swing.